For various reasons, I have been experimenting with the Bitcoin and Etherium currencies. While I do not have a vast fortune, I still wanted to generate and store my private keys in a safe and secure manner. What I really wanted was a Leger Nano S. These at the time, however, are backorered for months. So I started to explore methods for generating and storing keys. 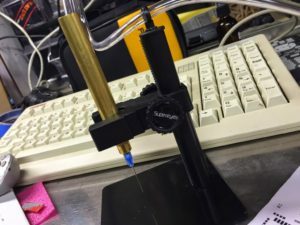 You can find the STL files on Thingiverse. 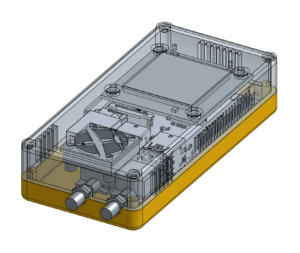 This design is meant to be used without the hat, and the GPS module is mounted to the top case directly. You can find the design files for the hat on GitHub. 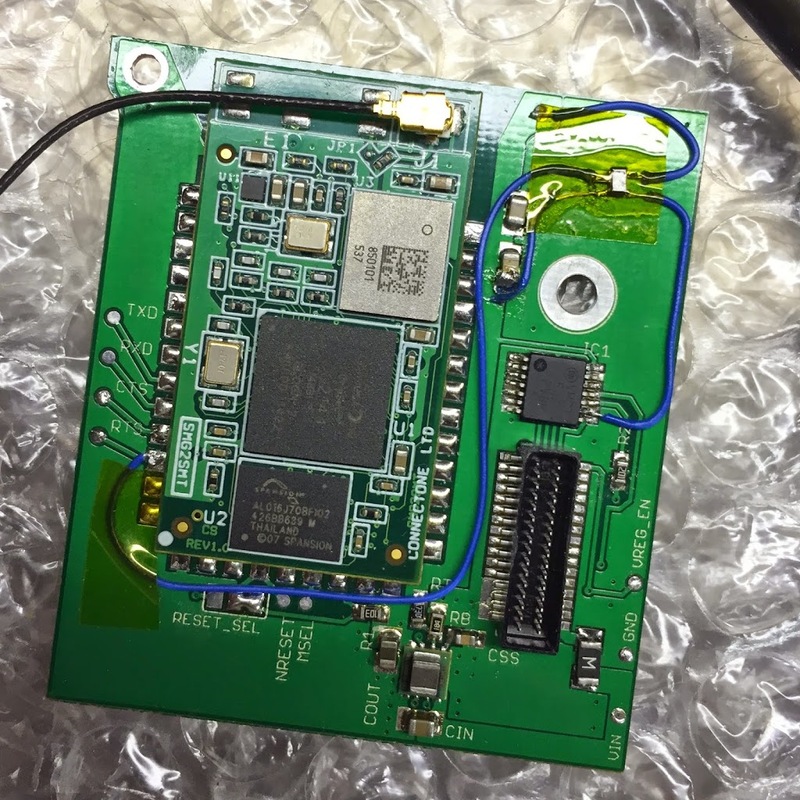 This video was made to to help @indigi_newton with troubleshooting his wifi card build. Even though the video is from the perspective of helping a single person troubleshoot a card, it is still a nice overview with a demonstration of it working in a Newton. Since the MP2x00 did not come with an internal modem (and one was never sold), each MessagePad came installed with a little plastic cover that fills the space where the RJ-11 jack would be. This is the same cover where apple would place a “2100” sticker indicating that a MP2000 was upgraded to a 2100. Instead, I’ve designed a replacement cover that does not interfere. For good measure, I added an embossed WiFi logo to indicate that the internal WiFi card is present. I think it makes for a nice finished product. Early designs used a linear regulator to supply 3.3v from the Newton’s battery voltage. It became pretty obvious that a linear regulator would get too hot, and so I changed it for a switching regulator. I wanted to do a real world test. The WiReach specs say that it can draw around 350mA peak during transmit. I modified the Thumb sample code into a program that would output a continuous stream of ~25kB packets. I taped a thermocouple to the regulator and ran the test for an hour or so. The results were promising. From room temperature, the regulator went from 77.4F to a high of 85.1F. This satisfies me that in my normal use the board will not overheat. Good advise, but I don’t think I’ll be performing that test. I just can’t imagine putting a Newton in a oven for any amount of time. This test is anecdotal at best, I guess. 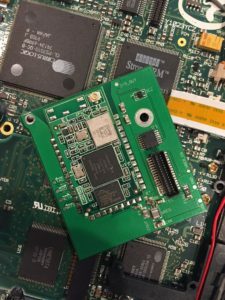 Was the WiReach module anywhere near its peak transmit power or current draw? I don’t know. At 115200bps, I’m not sure that the Newton can saturate the WiFi module such that it would need to draw its maximum. I found one other minor issue with the physical design. 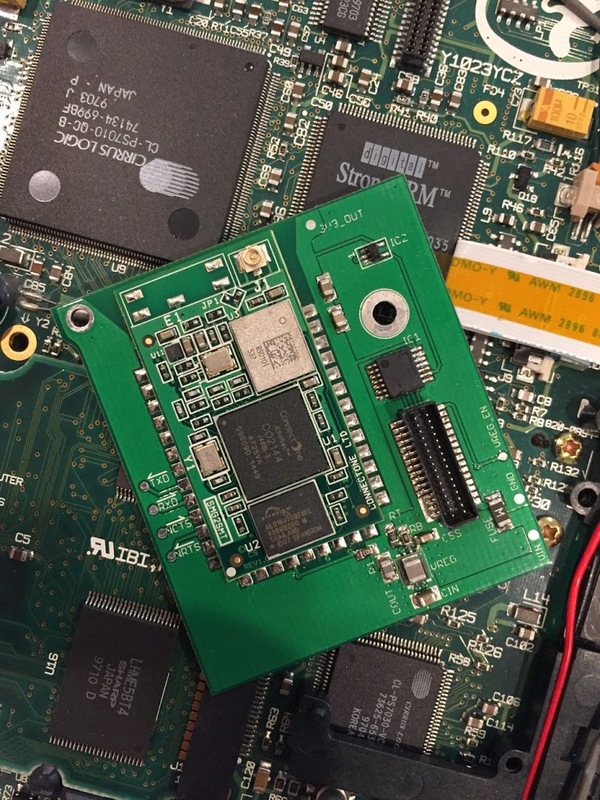 I intentionally pushed the module as close to the edge of the Newton as possible– into the space where a telephone jack would have been for an internal modem. The module is large and getting it in just the right place and keeping the board within a 5cm square took some trial and error. Also, I wanted the antenna area as close to the edge of the case as possible. 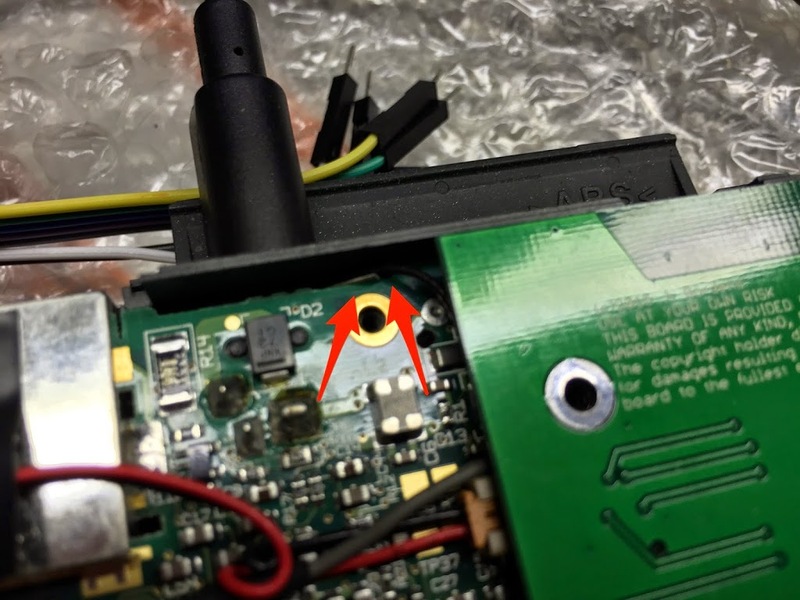 Well this made for one unintended consequence– the “plug” that covers the hole likely won’t fit, and it will interfere with the WiReach antenna connector and board. It isn’t the end of the world really — I intend to 3D print a new plug with a little more clearance, and maybe an embossed WiFi logo so you can tell from the outside that there’s a WiFi card installed. 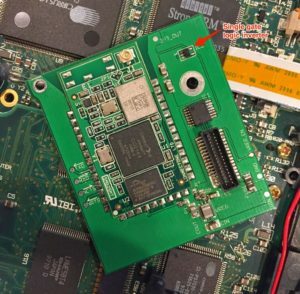 WiFi Board For Newton: A Success? I’m going to call this one a success. There is an error in the hardware flow control circuit, but that’s due to an error in the N2 Platform documentation. I’ll take responsibility because I should have more thoroughly prototyped (which I thought I had, but oh well) I’m still planning on hacking an inverter onto the board to fix the issue. Even so. I’m chalking this one up as a success. I found a really small antenna. I think its really for bluetooth devices, but it seems to work fine. It is so small, I was able to tuck it in a small gap between the power connector and the interconnect port. I use PT-100 to configure the module. Then a Serial Internet configuration with a script. The script is simple. First, it pauses for a few seconds to give the module time to power on. Second, it sends the at+iSPPP:0 command to start the PPP server. Finally, it waits for the OK. The case had to close and everything had to be fully internal. Find an antenna and antenna placement that would work without modifying the case or the shielding. Connecting my Newton to a WPA2 network. In all, despite the flow control thing, I’m pretty happy with the end result. The project meets my requirements. I’m trying to decide if I want to do a v1.1 board with corrected flow control signals. Up till now, I have been following Ekhart’s template for enabling the serial signals: directly calling the ROM functions to toggle SerPortSel. The only issue with this approach is that the OS also toggles these signals when a port is opened. 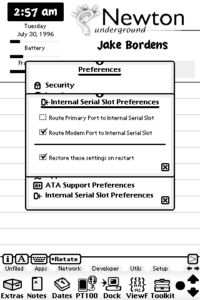 This means you have to configure the signals after the serial port is opened. Wouldn’t it be great if you could tell NewtonOS that you wanted SerPortSel to be “set to internal” when you open Serial0 or Serial3? The constant names are my own invention. The key one is kSetPortSelectExternal. When this bit is set, the NewtonOS conigures the SerPortSel LOW, indicating an external device connected to the interconnect port. When this bit is clear, it configures the SerPortSel HIGH, indicating that the internal serial slot will use the port. 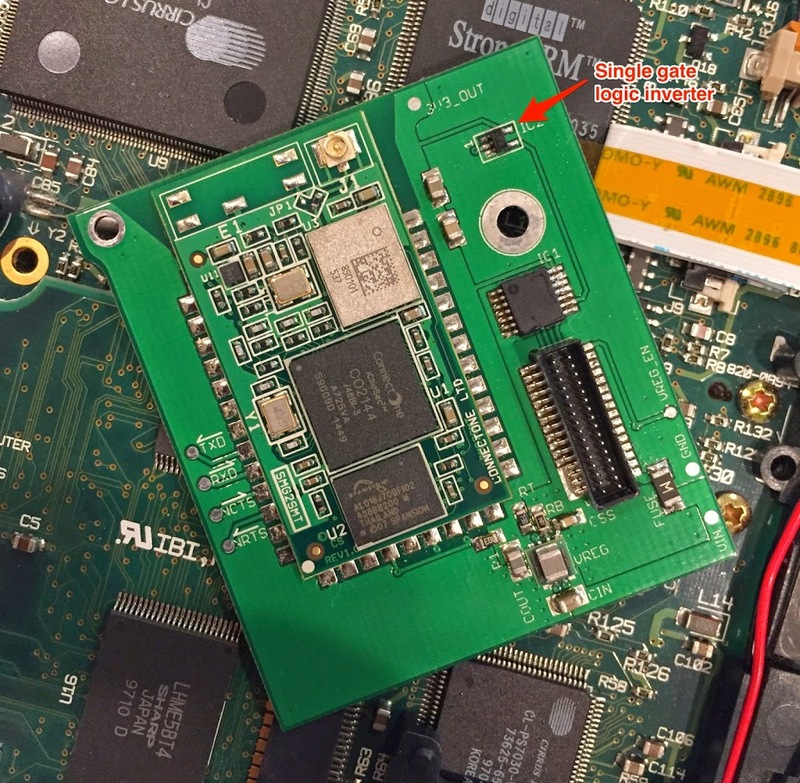 When the serial port is opened in software, the NewtonOS reads the bitmask and enables the proper voltage supplies and sets the SerPortSel apporopriately. 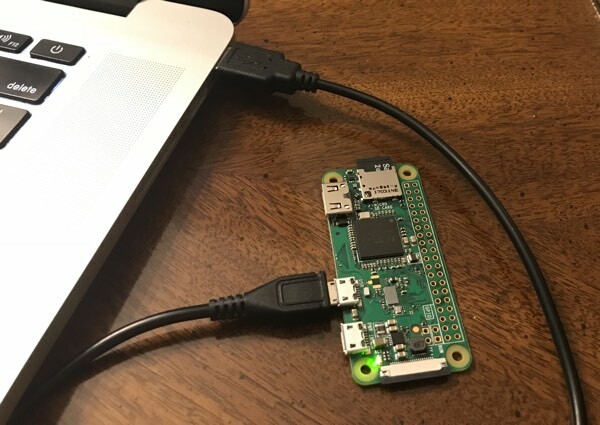 When the port is closed, the GPIO line is returned to its default state. 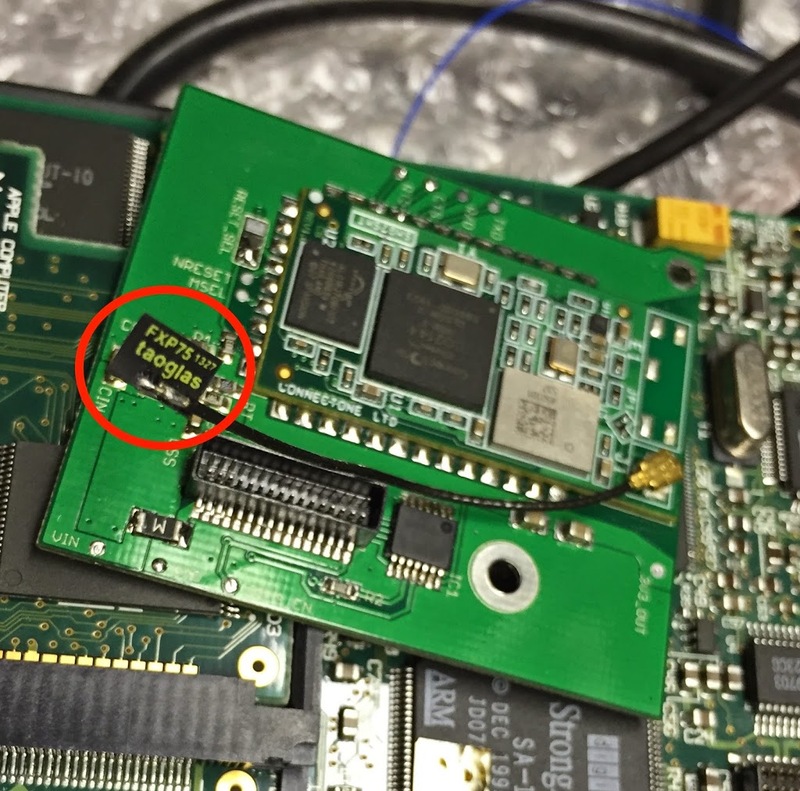 Note for Serial0, the default state is “internal” (HIGH) until you open the port, as this disables the LTC1323 (used on the external port), probably to save power. These settings are reset on reboot, which I think is probably for the best. You could always have a Pacakge that sets the flags on boot. 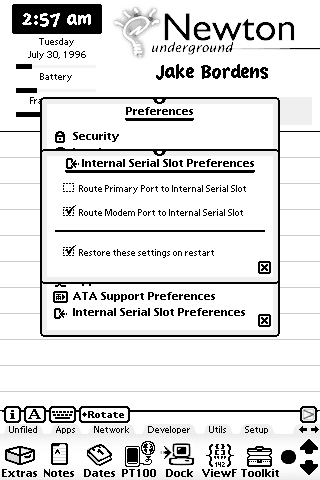 Currently, this is what I consider the “right way” or at least the “best known way” to use the serial port select signal for the internal slot. It is much better than manually toggling the signal with the SerialPortXLineDriverConfig functions.